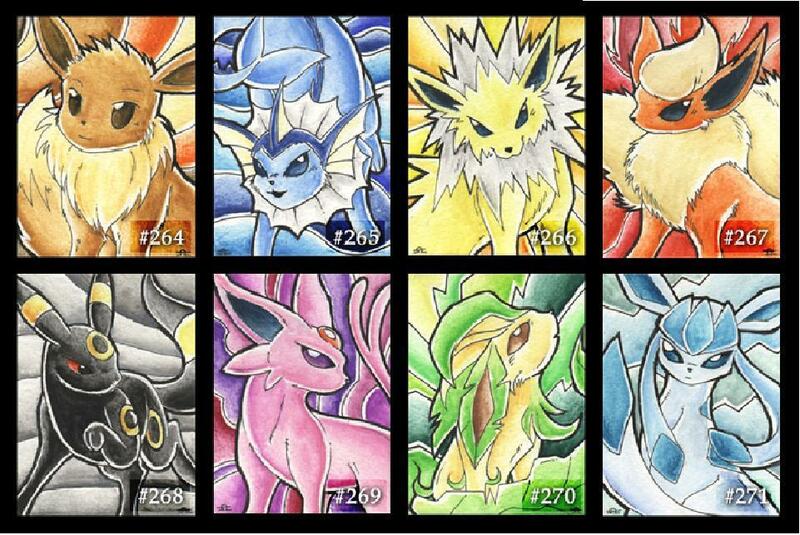 Eeveelution Card Art. . HD Wallpaper and background images in the Eevee club tagged: eeveelution pokemon eevee poke umbreon espeon vaporeon. This Eevee fan art contains cửa sổ kính màu, anime, truyện tranh, phim hoạt hình, and manga.